Two weeks ago, I was on the first major family vacation my family, and I have taken since we’ve had kids. This isn’t to say we haven’t taken trips, gone to the beach, and things like that but we haven’t done anything quite like this. 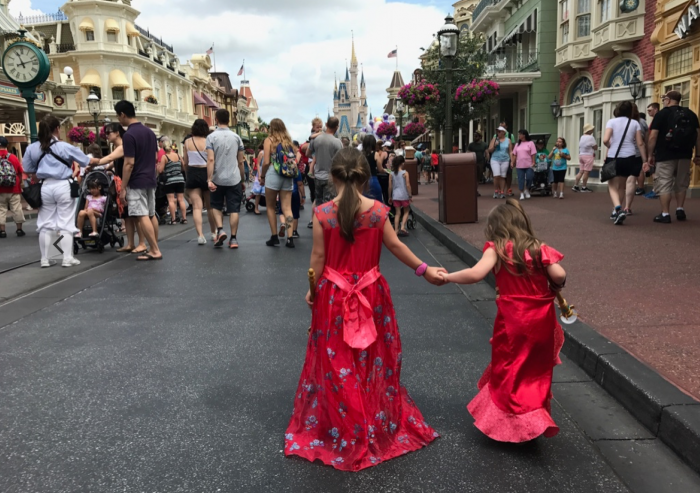 In short, we spent a week at Disney World – and that’s fun, sure – but when you see it through the eyes of a five-year-old and a three-year-old, nothing can top it. 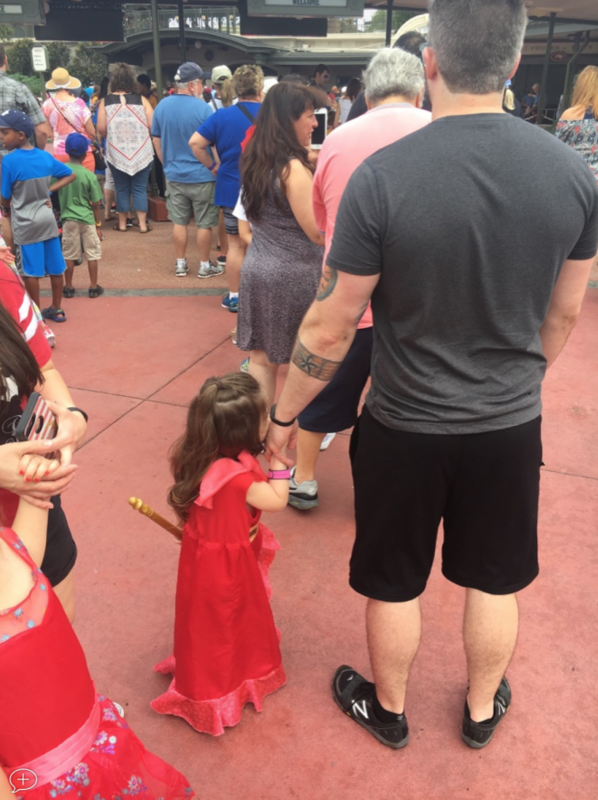 My girls seeing the Magic Kingdom for the first time. And it’s not even that I’ve never been there before, you know? It’s when you go and experience all of the attractions with your kids who have seen all the Disney movies, cartoons, etc., and then getting to see things like that come to life. The purpose of where I’m going has doesn’t really have to do with the details of our trip. Yes that was fun and yes I’m glad I went, and we’re already talking about going back before our youngest is too old to get into the magic that comes with visiting the place. But there’s a whole thing about trips like this that are directly related to balancing work-family-life, right? Ultimately, it has to do with managing work on vacation and the tension that comes with it specifically if you’re self-employed (because that’s what I know). I doubt I’m going to share anything new, but I thought it might be worth sharing my personal take on what it was like to completely disconnect for a week and what it was like coming back to all things waiting. My plan, while being gone, was to be disconnected from work for the entire trip. And, generally speaking, it went well. This isn’t to say I wasn’t occasionally tweeting or sharing things on Instagram or whatever other social networks. Instead, it’s this is more about the challenge of disconnecting from work (versus fun social media this-that-or-the-other) whenever we go on trips. Waiting in line with my youngest to scan our magic bands. I had a plan for how to tackle it, and it worked okay, but it wasn’t foolproof enough to really prepare me for what was waiting when I came back. But first, some other things. I think it’s safe to say that many of us have all read articles how some people go on trips and end up working a portion of the time they are there, Maybe it’s because of the ubiquity of phones and how we’re always available, maybe it’s that people can’t stop working, maybe it’s because their work doesn’t allow for full disconnection, or maybe it’s a handful of other reasons that others mention. Personally, I think we should all be able to take breaks that are completely disconnected from what we do for a period of time not only to spend time with our loved ones but also to recharge and get out of the trenches of work. We caught the parade on the way out of the Magic Kingdom during our first afternoon. Many of us have likely gone through the process of telling other people when we’re going to be out, say, at least a week in advance to prepare them to halt emails, calls, or to expect that we’re unavailable for a time. What happens, then, when you come back to work, and you end up having to catch up with all of the things that were on pause while you were away? For me, it took the entirety of last week to catch up on things. This isn’t to be some statement of being busy (because I don’t buy into the busyness is a badge of honor mentality) because I know we’re all busy, nor is it a commentary on the people with whom I work or the projects on which I work. I work with great people, and I love the work I do. And, above all else, I’m able to trust them to carry on with work and keep me updated on anything that might be urgent. Many of us who work in the United States are given some days to take for vacation. Outside of holidays, I think two weeks the average amount. During that time, we should be on vacation. If we completely pause everything we’re doing while we’re away, we have an avalanche of material to return to when we get home. If we handle it a little bit of time while we’re on vacation, there’s less to return to when we get back. Ultimately, it sounds like we’re trading a level of stress later to spreading it out over several days. Perhaps the stress or the work is the same amount, but it’s shared across some days rather than in a big bang scenario (like when we return to work). Working on Super Mario Run with my oldest (who’s already beat it all on her own :). All that say, though I thoroughly dislike it and practically reject the idea of working while you’re on vacation, I don’t fault a person for wanting to try to stay up to date on whatever because who wants to come back to a pile of stress when they return? But I do think it’s absolutely a problem when it begins interfering with time with friends, family, or what have you. Do we continue to do a little work while we’re gone to alleviate some of the stress we feel when we get back at the expense of being fully present with those on our trip? Or do we aim to manage expectations of those to whom we’re returning so they know how things will be once we’re back? I’m obviously a fan of the latter, but I’m still working out how to do a better job of that. 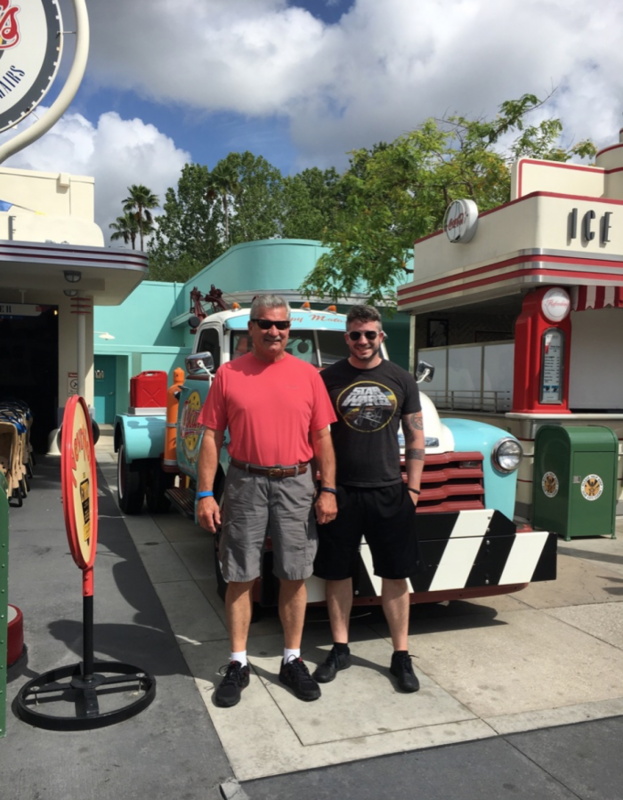 My dad and me at Hollywood Studios (my favorite park). He digs classic cars, I dig the whole vintage film vibe. Starting at the latest one week out from the trip, mention to all of the customers, team members, and potential customers that you’ll be out of pocket for however many days on a trip. Share that you’ll have a vacation responder.This means you’ll be unavailable via email, phone, and text, and that you won’t be responding until you get back. Perhaps share that though you may active on social media, that’s more for the purposes of fun, not work. Being available on Twitter is not the same as being available for work. Make sure any project schedules include an entire buffer week after you’re back so that you have time to catch up on email, phone calls, and get re-oriented with a project before jumping back in. This is crucial because doing a whole spike to learn the status of a project will benefit you, the team, and the stakeholders. You can’t expect to know everything on the day you’re back. Use an entire week when you get back to catch up on everything in both personal and work life to get back in the groove. Answer your emails, talk with your customers and your team, find out where things are, what you need to do, and plan out how to tackle it. Trying to find it on the first day back is near impossible. But giving yourself a week to get back in the trenches and ready to carry forward? That’s more manageable. The first step is all I’ve been doing but as I – and I’m sure the rest of you – progress through your career and your life, the harder it gets to balance much of the responsibilities. I question whether or not many of us want to be on or available all the time. And if you do, then you do your thing. I don’t want to be that way, but I’m not here to say what’s the right way for everyone. Instead, it’s more about what’s effective for me (and maybe for you). 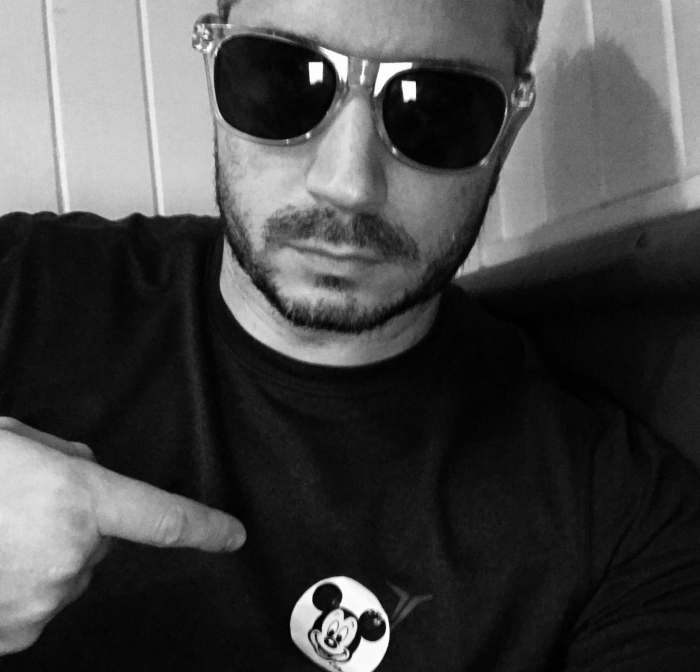 I was told “real men where the mouse” and I have no Mickey shirts. So I made do. And this was how I made it happen. I love that I do, and all that comes with it, but I also know it’s important to make sure I’m taking good care of myself. Because if I don’t do that, then how am I supposed to do a good job taking care of my family and the rest of the responsibilities that come with a job? The bottom line is that it’s fine to give people a heads up what will happen when you’re gone, but set some guardrails up for how to manage your time when you’re back as well. Otherwise, you risk everything coming back towards you the day you’re back at your desk. And it doesn’t have to be that way. I’ll have a chance to practice this next couple of ideas later this summer. Perhaps I’ll do a follow-up post after that to see how it goes. Hi Tom. This is a subject very close to my heart! I’ve found that ever since I started working for myself that I find taking breaks and holidays hard. I always take a laptop and a phone with me wherever I go just to make sure that when I come back from the break there isn’t a mountain to climb or that I haven’t missed anything important. I’m catching up with children, mine will be old enough to want to go to disney land or take proper breaks with me. It’s not too bad though, like you I love the job and everything it brings. Perhaps sometime soon I’ll take a leap from your book and try a proper break! All the best, David. I’ve found that ever since I started working for myself that I find taking breaks and holidays hard. Right? It’s hard to remember when holidays are. It gets a little better over time. At least it has for me, but it took some serious time to get established before doing that. I always take a laptop and a phone with me wherever I go just to make sure that when I come back from the break there isn’t a mountain to climb or that I haven’t missed anything important. I rarely take a computer. An iPad and a bluetooth keyboard, maybe, but my phone always but that’s not just for work. I do find that a vacation responder and setting expectations early on for people is helpful. 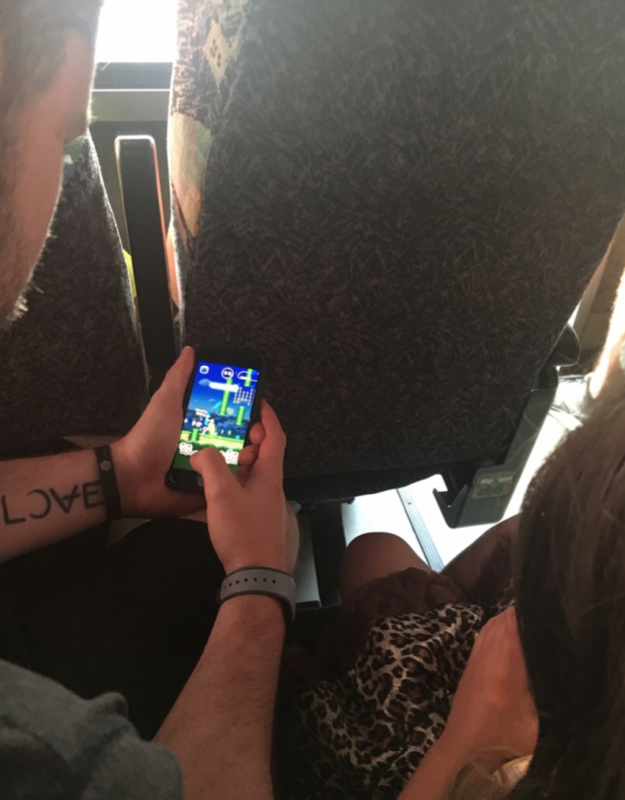 When we took the trip to Disney, it was fantastic as I have some great guys helping me with the business but the email, oh the email, when I came back. It took two days. Smh. We all suffer from it too, don’t we? Perhaps sometime soon I’ll take a leap from your book and try a proper break! It’ll come! I promise. But you gotta work for it just like you gotta work for building that business :).